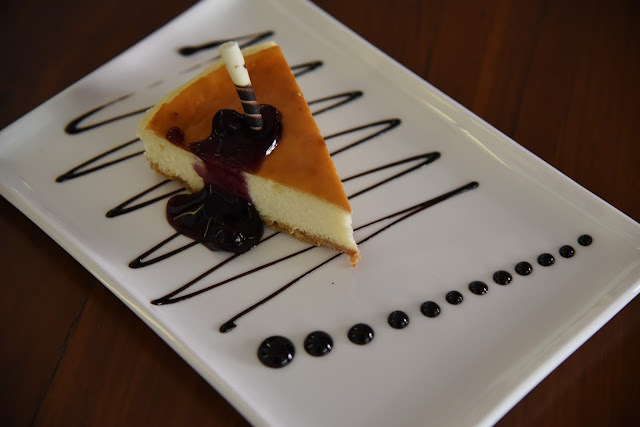 Located on the quaint streets of Dahisar east, Niche Cafe is an cozy little restaurant with cool vibes. 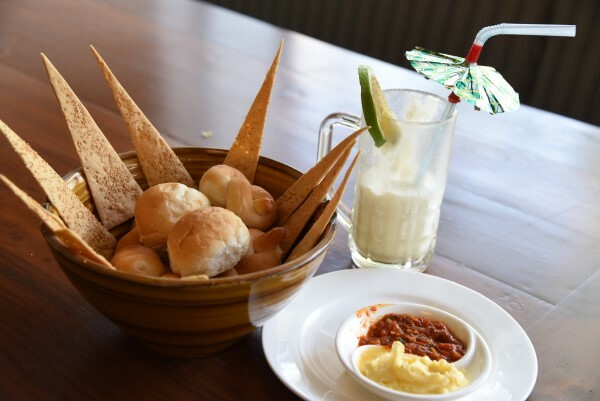 Niche Cafe hosts you over authentic Mexican, Italian and Continental cuisine, along with wood fired pizzas which promise to titillate your taste buds and turn you into a loyalist for life. I visited this cozy little restaurant on a lazy and hot Sunday afternoon. The first thing that made me happy, was that the restaurant provided free valet parking service, so you don't have to worry about finding a parking spot near the restaurant. Once we were seated at the restaurant, the first thing I noticed were the beautiful paintings on the wall. 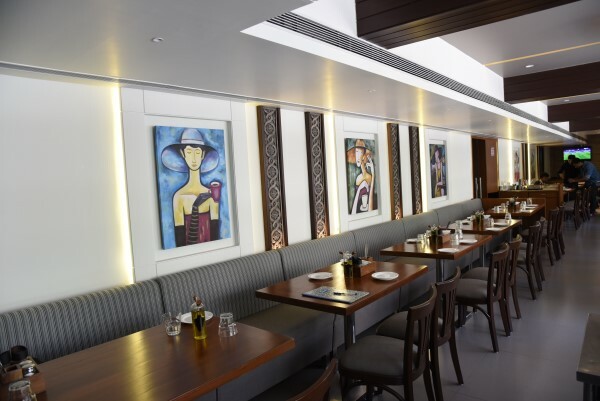 The decor of the restaurant is modern and stylish and has a seating capacity of 80. On the right hand corner of the restaurant I spotted the wood fired oven where the chef was crafting handsome wood fired pizzas. I was impressed by his skill, expertise and presentation. Within a few minutes of being seated we were offered complimentary bread with salsa sauce and garlic butter. Since we were fried in Mumbai's afternoon heat, we decided to start with mocktails... Virgin Pina Colada, Cindrella and Fruit Punch. Each mocktail was unique in presentation and flavour. The Virgin Pinacolada and Fruit Punch were a bit on the sweeter side but hey, I wasn't complaining at all. Next arrived the Cream of Mushroom soup. So I have to tell you the cream of Mushroom soup is my favorite soup and I order it everywhere I go. 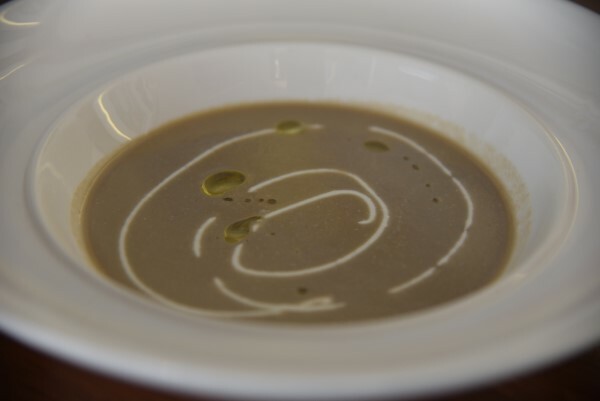 I have my reservations as far as this soup is concerned and hence this soup did not match up to my standards, and that is only because I like my cream of mushroom soup with a generous flavour of garlic and chunks of mushroom thrown in it. The cream of mushroom soup at Niche Cafe, though yummy lacked these two elements and hence did not excite me too much. We decided to order appetizers next. But we were so confused. These place has endless appetizer options and we finally decided to go with stuffed mushrooms and Tex Mex Loaded potato skin. 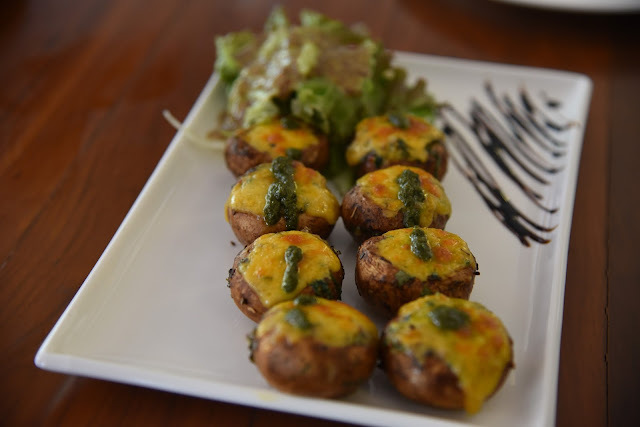 The stuffed mushrooms, were delicately spiced with a generous helping of spinach and cheese stuffed in it. The mushrooms were juicy and flavourful till the last bite and that's exactly how I like my grilled mushrooms. I could have done without the wasabi mayo, dribbled over the salad that accompanied it. But it complemented the mushrooms well. The next appetizer was my most favourite dish in the entire meal that we devoured that day. If you ever visit The Niche Cafe, you just can't afford to miss this dish. The Tex Mex Loaded potato skin reminded of the famous Maharashtrian delicacy Potato Kaap, just that it was so much better and interesting. 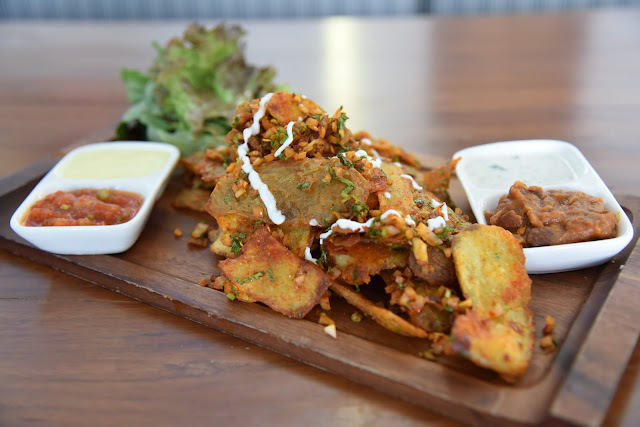 Sliced skinned potatoes spiced and seasoned to perfection, deep fried and tossed with onions, parsley and sour cream; served with Mexican Salsa, sour cream and cheese fondue. I loved it too much. I especially loved the portion of this appetizer. It can be easily shared by three. We ordered watermelon and feta cheese salad for main course. This is great choice for people who want to eat healthy yet tasty food. It was flavourful and presented really well. 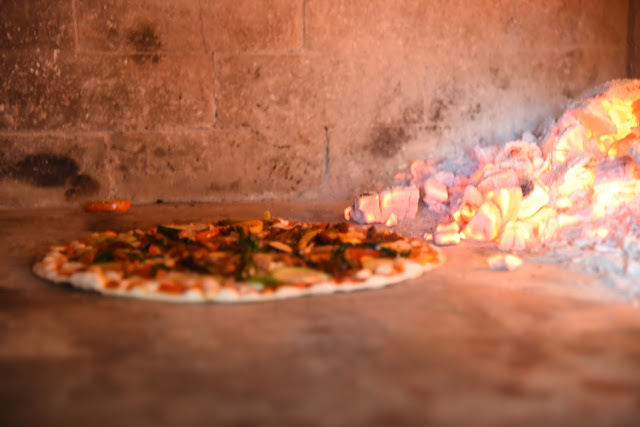 Now it was time to order the wood fired Pizza. This place has such interesting options in Pizzas that it was tough to pick one. So we decided to customize our Pizza and combine two pizzas in one. We had the Burrito Pizza on one half and the Braziliano on the other. 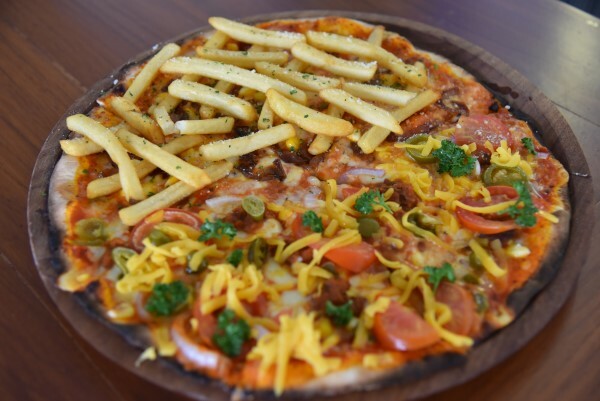 The Burrito Pizza was interesting, because it combined two cuisines, the Italian Pizaa with the Mexican burrito. It was topped with Mexican black beans, jalapeno, corn, onions, tomatoes and yellow cheddar cheese. It reminded me of the Mexican Pizza that I eat at Taco Bell in the USA. The Braziliano Pizza again was very different. It was topped with french fries, corn, sauteed onions and green pepper salsa. I was too happy with our choice of Pizzas and I appreciate the innovative menu that Niche Cafe has come up with. 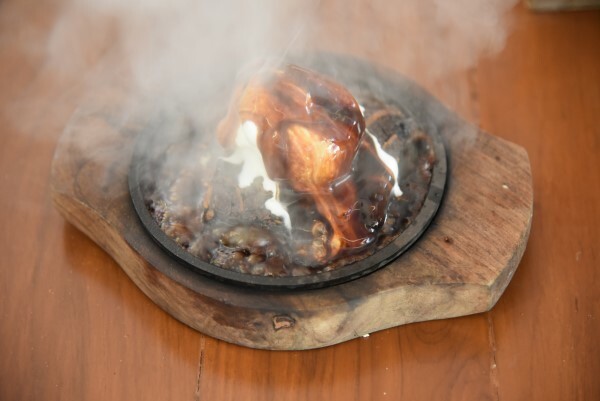 For dessert, we went with sizzling brownie and baked Philadelphia cheesecake, but mind you they also have the very yummy Tres LesChes cake, Chocolate fondue and Red Velvet Cheese cake which happen to be their most popular desserts. The desserts were on point and hit our taste buds at the right spots. In spite of the cool ambience, the strategic location and the innovative and yummy menu I was surprised to see that most items at Niche Cafe are priced under Rs. 300. It is a great place to spend your weekends with the family and also chill with your best buddies. Oh, and did I tell you they have free Wi-Fi for customers, so feel free to upload endless pictures of you and your friends having a good time at the Niche Cafe. 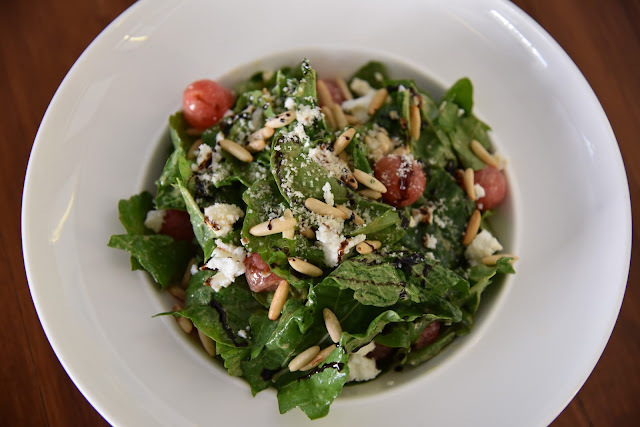 Niche Cafe is a place you definitely can't ignore. Its biggest USP is their unique menu, superior ingredients, authentic taste and good portions. They are most reasonably priced and have a very hospitable staff who are eager to help you with the menu and ordering. I rate this restaurant 4/5. Have you visited this cafe yet? Let me know in the comments below. Looks tempting !! Coming to Mumbai soon . Will take dining recommendations from u .
Slurp! All the food looks so yum!